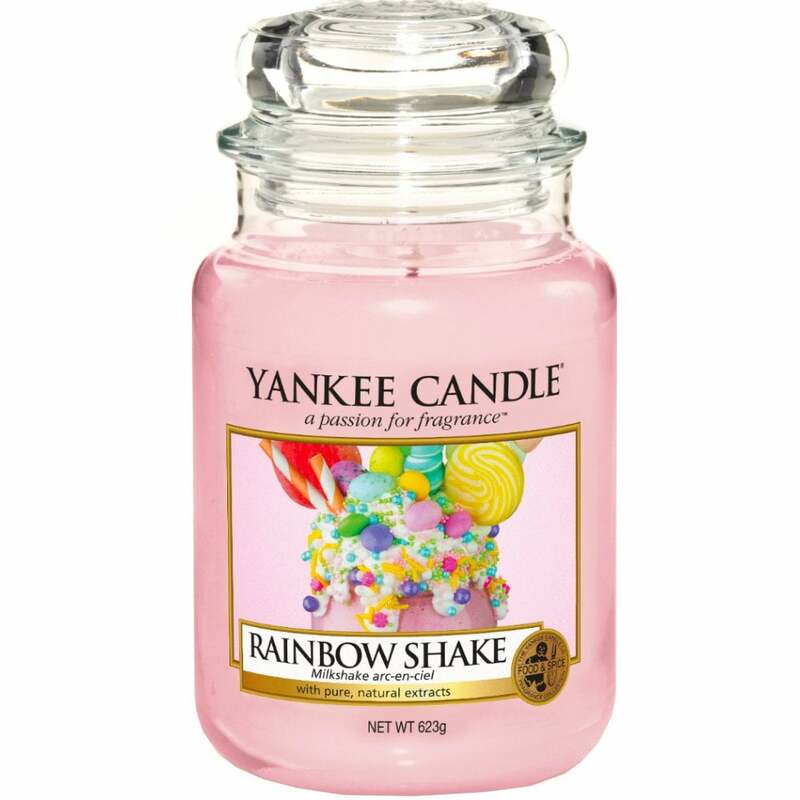 Yankee Candle Rainbow Shake Large Jar Candle is a classic, easy-to-use jar candle, with pure natural fruit extracts and a fragrance of juicy, sparkling fruits blended with sweet Vanilla, finished with whipped cream, rainbow sprinkles, and Berry Drizzle. This candle is part of Yankee’s Easter collection. The initial scent, blending creamy Pineapple, caramelised Apple and toasted Almond, gives way to the main body fragrance of Peach, Blackcurrant Drizzle and Italian Orange. This culminates in a lingering impression of Cinnamon with Raspberry Frosting and Vanilla Cream.